Quick Change Camera Drape, sterile, single use. 150mm x 2.5m. 50 per box. Concentrically wound film for easy and neat application - dispenses only required length of film. 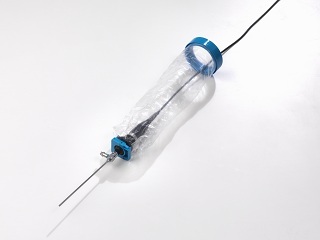 Coupling allows easy change of scope mid-procedure and provides complete sterile barrier.